The Hide Lab https://hidelab.wordpress.com is recruiting programmers, postdoctoral fellows and graduate students to a set of new and ongoing projects that are part of our new Centre for Genome Translation. Please go the positions available at the website to learn more. The lab has relocated from Harvard School of Public Health to the Centre for Genome Translation at the Sheffield Institute for Translational Neuroscience (SITraN); a purpose built research facility which was opened in November 2010 by Her Majesty the Queen. The Institute houses computational, clinical and basic scientists with a focus on neurodegenerative disorders such as Motor Neurone Disease (MND) and Parkinson’s disease. Successful candidates will be joining a global team working on best practice computational approaches and discovery in genome translation – literally working with the best clinicians, machine learning experts, wet lab scientists and a global bioinformatics team to deliver new interventions against lethal neurodegenerative diseases. Requirements for postdocs: A PhD in an appropriate field. A strong publication record in peer-reviewed journals. Strong programming skills; strong oral and written communication skills in English; Strong knowledge of biology. Track record of excellence in publications. Graduate students: You have a high calibre Masters degree (or equivalent qualification) in computational biology, biomedical research, genomics, computer science, mathematics, biostatistics, systems biology or combination of these. You have a strong biological background, and are skilled in scripting with demonstrated understanding of working together with biomedical researchers and quantitative biologists. You are confident in aspects of data integration and are enthusiastic about construction and analysis of biological networks and/or data integration. Highly motivated, you wish to work in a stimulating, international, scientific environment. You have excellent interpersonal, written and oral communication skills and seek exposure to a diversity of scientific projects. Programmers: You have a combination of skills, with a strong emphasis upon programming, but with an understanding of biology, some statistics, and potentially machine learning. We welcome candidates with a desire and demonstrated ability to learn new areas and a desire to develop code in a global environment. Please include links to some of your previous code in GitHub or another repository hosting service, as well as a cover letter describing why this position interests you and how it fits your experience and interests. 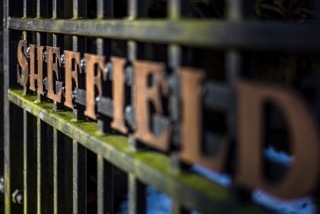 Sheffield is an awesome place to live – the people are kind, professional and team oriented. The Peak district is within ten minutes and is a wonderful place to relax. Programming applicants and Post doctoral candidates should send a C.V. and statement of interest as one PDF document to winhide [at] sheffield.ac.uk. Screening of applications begins immediately and will continue until the positions are filled. The positions are expected to start on or after April 2015. Please clearly state the prospective main supervisor in the respective box and select (neuroscience) as the department. Author Jonathan EisenPosted on February 16, 2015 February 16, 2015 Categories Misc.Tags Misc.